A trip which is rich in both language and culture, since language is not only an important aspect of culture, but also a means of enjoyingcultural experiences. The route passes through the autonomous community of Aragón, in northeastern Spain. 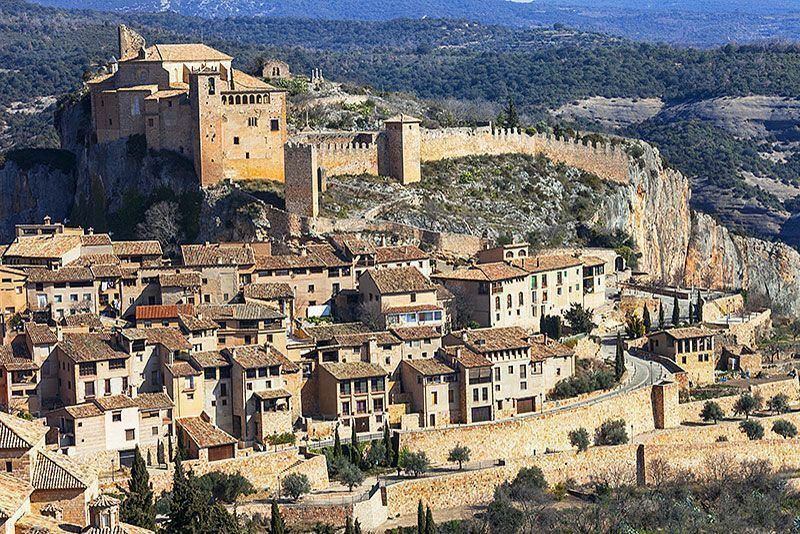 With a 136-mile border with France, Aragón is thecentral Gateway to Europe from Spain and Portugal. The full tour programme allows students to deepen their knowledge of the historical-cultural, naturaland social wealth of the region, while learning to appreciate and respect it. We put together quotes for school trips to suit the specific needs of of school lasting from three days. Aimed at students from Primary and Secundary Education, between 9 and 16 years. The strategic location of the The Sierra and Cañones of Guara Natural Park, between the steppes of the Ebro and the Pyrenees, a crossroad between the Atlantic climate and the Mediterranean one, leads to a profound difference between the vegetation of the North and South slopes, and the birth of numerous exclusive species of this mountain massif. On the southern slope is the Mediterranean forest par excellence, the holm oak wood, the predominant, next to the wild pine at the higher elevations. In the north slope the quejigar occupies big extensions, following, in height, by the wild pine groves of pine and forests of beeches. At the summits of the Sierra of Guara, the characteristic vegetation consists of species grasses, there where the rocky places allow to their establishment, appearing flowers of singular beauty like the speedwells or granny’s Bonnet. 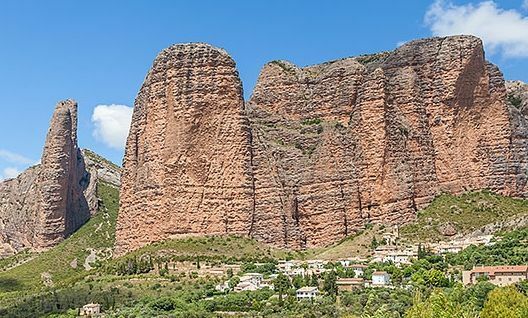 The peculiar climatic conditions on the limestone rock and the conglomerates have developed a complex system karstico, characterised by the appearance of formations such as caves, gallery, tips, and springs, and impressive vertical walls and Mallos. The above mentioned complex is closely linked to the movement of water, gorges and ravines. The altitude of the Park ranges from 430 meters, at the exit of the river Alcanadre, up to 2.077 meters of the summit of Tozal del Guara. 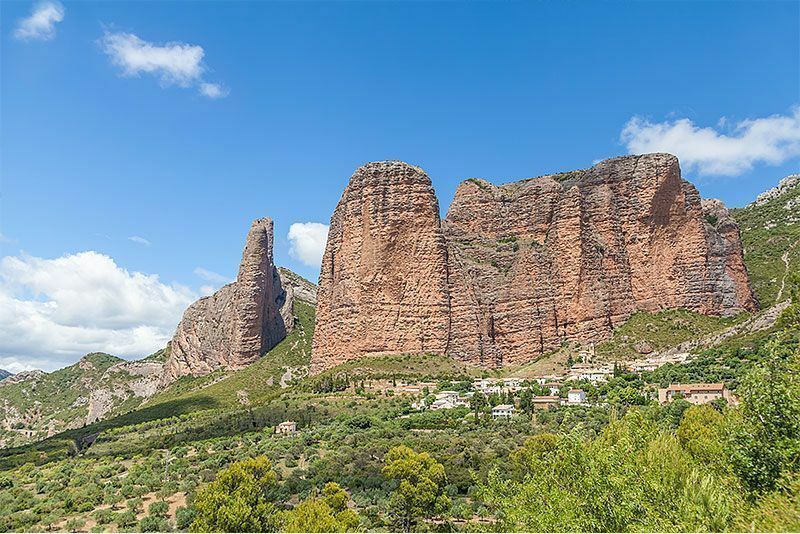 Besides Natural Park, the Sierra of Guara has other figures of protection, such as the one which is designated ZEPA, Special Birds Protection Area, and site of Community Importance (SCI), referred to in the European regulations and integrated into the Natural Network of Aragon. The Sierra y Cañones de Guara Natural Park is located in the Province of Huesca, Aragon, nothern Spain. The nature park covers an area of about 47,450 hectares. A peripheral zone of protection covers 33,775 hectares. The altitude of the park ranges from 1,410 ft to 2,077 ft.
Its mild climate, rich landscapes and cultural heritage makes Sierra de Guara a really emblematic place. 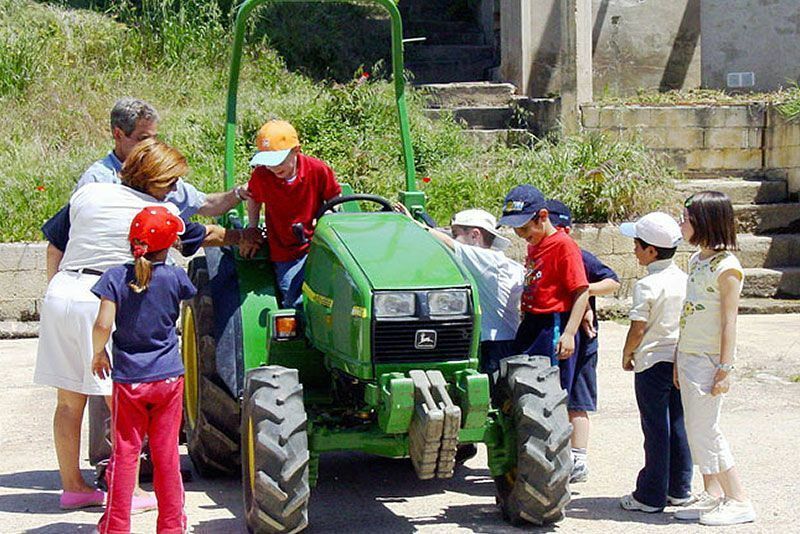 The school is located 3 Kms away from Huesca, next to the river Flumen. The buildings that make up the school are built on the northwest end of an estate of 45 hectares, south of the raft of water used in your day to generate power and move a mil agricultural farm. In addition to having their own facilities to impart the teachings, it has a student residence with room service and own kitchen. 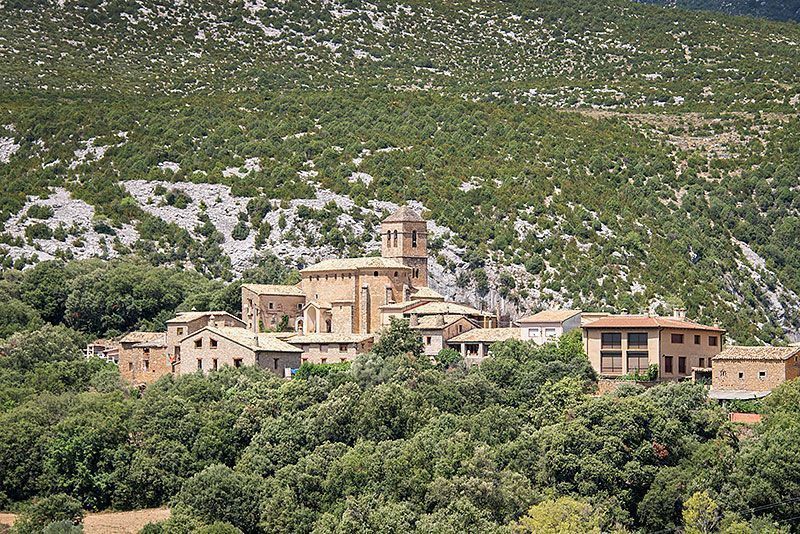 Situated on a limestone outcrop of Eocene age to the west of the canyon of the river Vero in the Sierra and Cañones of Guara Natural Park, the village grew up around a castle and the Collegiate church of Santa María, which was consecrated in 1099. Popular activities include canyoning, walking, rock climbing , abseiling, as well as ornithology (since eagles nest on the steep faces of the Rio Vero canyon). There are more tan 60 limestone caves with prehistoric cave paintings in the surrounding área, which has led to the region being declared a World Heritage Site by UNESCO in 1998. It is situated at the gates of the Sierra of Guara Natural Park. It is surrounded by the Barranco de Mascún and the river Alcanadre, with crystaline waters and full of vegetation. A lovey place to live Nature. It is well known as one of the best areas in the world for canyoning, walking and rock climbing and abselling. It is located 45 Km to the northwest fom the city of Huesca. The Mallos de Riglos are a set of conglomerate rock formations in Hoya deHuesca in Aragon, in the north of Spain. Rising to some 300 metres (980ft) high, they form part of the foothills of the Pyrenees.